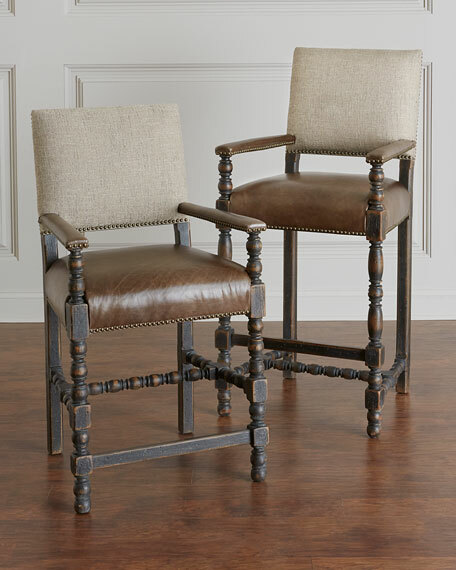 This rustic counter stool focuses on the details with a fabulous mixture of textures combining an anthracite black finish with distressing and brown rub through, with bronze nail head trims accenting the seat and back. 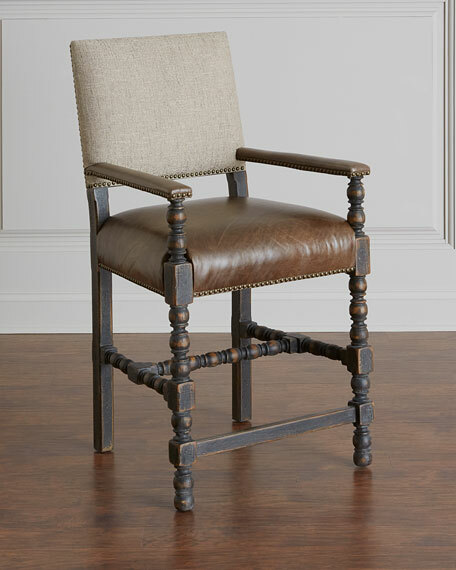 A vintage style brown leather seat, a complementing light brown fabric back with detailed scrolled motifs on the frame and metal kick plate on the footrest. 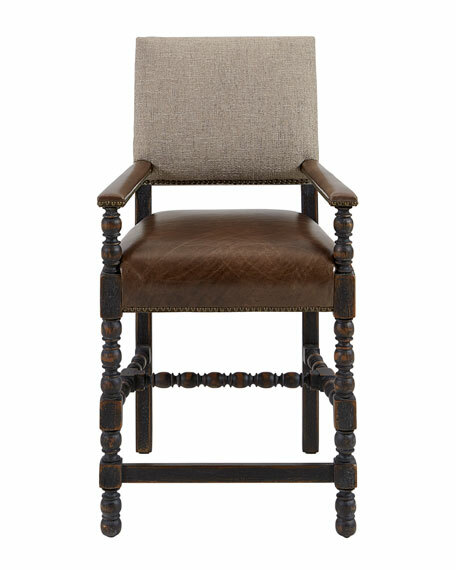 Handcrafted counter stool with leather seat. 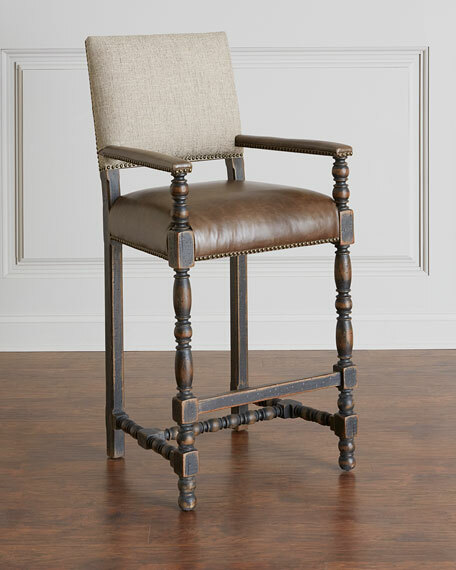 23.5"W x 24.5"D x 42.3"T.
This rustic barstool focuses on the details with a fabulous mixture of textures combining an anthracite black finish with distressing and brown rub through, with bronze nail head trims accenting the seat and back. A vintage style brown leather seat, a complementing light brown fabric back with detailed scrolled motifs on the frame and metal kick plate on the footrest. 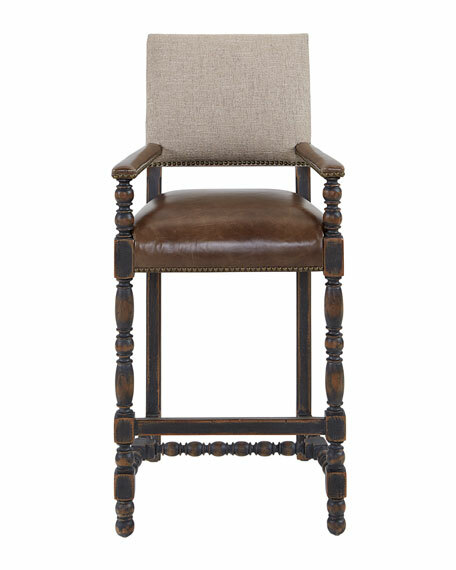 Handcrafted bar stool with leather seat. Overall, 23.5"W x 25"D x 48.3"T.
Boxed weight, approximately 47 lbs.